A published report citing upstream supply chain sources revealed that ASUS and Google, the collaboration behind the Google Nexus 7 tablet, will partner up again for the sequel. Expected to be unveiled in May, most likely at Google I/O starting on May 15th, the follow-up to the Google Nexus 7 is expected to have some updated specs including a 7 inch FHD display, and a thinner display border. Pricing is expected to remain in the $199-$249 range for the tablet using Wi-Fi only connectivity. Currently, the 16GB and 32GB Wi-Fi only models are priced at $199 and $249 respectively while the 32GB Wi-Fi + Mobile data models for AT&T and T-Mobile cost $299 each. According to the sources, by the end of this month, more than 6 million units of the tablet will have been sold. The top selling variant is the $249 32GB Wi-Fi only model. The same sources say that by the end of the year, 10 million units made up of a combination of the original model and the second-generation version, will have been purchased. Android 4.2.1 is currently running the tablet following a December update, and it is expected to be the build of Android that will be installed on the second-generation models, right out of the box. Nice I might buy just because of the price and the FHD display. AGood call. By improving the display and border they literally just enhanced the only two aspects of mu Nexus 7 that im not thrilled about. Wish there was an sd card slot but that's okay. Edit *** They would do well to greatly improve the video quality of the front facing camera. Waited a couple of months and can wait a few more before buying one of these beasts. Updated Nexus 10, nexgen Nexus 7, maybe a Nexus 8 FHD, that would be the ideal in-betweener, or the Ipad Mini 2. Really is the year of mature tablets with $400 tops for high-end technology. Can't wait to upgrade my tab! This is Asus we are talking about! 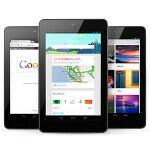 Were you not around during the Nexus 7 launch? On top of that, demand will be much higher this time around. noce one google, but hoping 7.7" (im not refering to the iPad mini, but the size of the galaxy tab 7.7, which is a good screen size, not too small, not too big either) screen size but maintain the slimness! hope they keep the tegra 4 since im sure snapdragon 800 will be pricey...and add a rear camera too! even i dont like android, i only like android with stock UI on it, samsung and others ruin the experience! 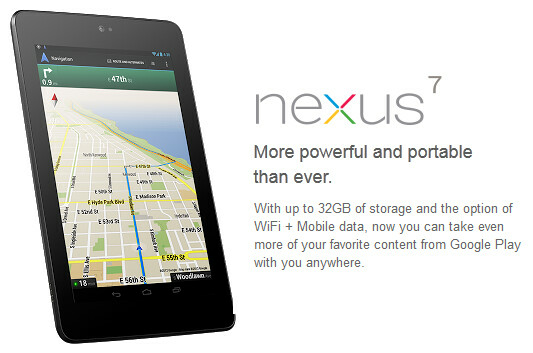 I'm hoping for Nexus 7.7. With a 1920 x 1200 resolution, a little thinner bezels all around, and Tegra 4. An appropriate upgrade over last years model. And it will be the Nexus 8 with 8" screen? yes yes i love my nexus 7. just did some customize. i want new display and processor for the new baby NOW. I am wishing for something new in Android 5.0 on the new Nexus 7 or whatever it will be called. I want the on-screen buttons gone...like forever. They take away precious space from the screen. Android needs gestures. A swipe from bottom to top for options such as home, back, multitasking etc. instead of on-screen buttons....OR something new! Surprise us Google! CM 10.1 + Nova Launcher Prime + LMT Launcher give you all that and more. Look it up. ehh multitasking i can live with for a gesture and then button press... but home and back?? no way!! there needs to be dedicated buttons/dedicated gestures for these because they are too important to have 2 or more steps to do them..
As much as Id love to upgrade mines theres nothing that it cant do that I throw at it. An FHD screen is tempting though. Tegra 4, 2 GB RAM, and FHD 7" display, for $200 with stock Android? Take that, Kindle Fire! That's just a whish list, isn't it? I would be OK with the FHD, 2 GB of RAM, and any dual core A15 like the OMAP 5 or Exynos 5 quad. Google I/O 2013 may be four months away, but there are already speculation on what Google is planning to launch at its annual conference. Gotta upgrade that Processor if its going Full HD. The Tegra 3 was JUST enough to make it run 100% smooth if youre using the right rom/kernel. Stock 4.2 still has a tiny bit of choppyness in spots.